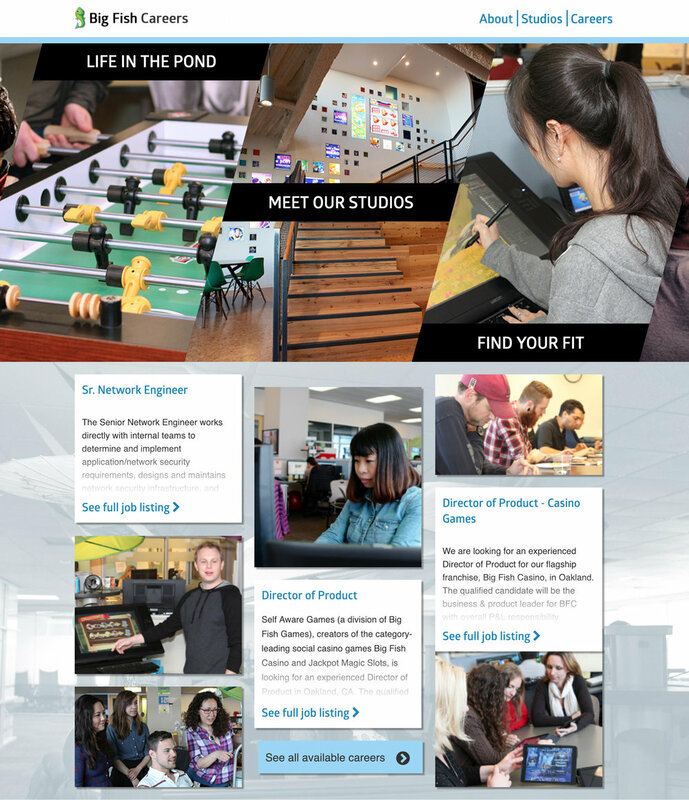 The Big Fish Careers site is the main touchpoint for jobseekers to understand what the Big Fish corporate culture is, the perks and benefits of working for the company, and what open positions are available. This project was intended to improve users’ ability to accomplish those tasks. Identify pain points with the existing site, research competitors’ career pages, define user needs and expectations, create and iterate on designs that worked within technical limitations, and validate design with usability testing. This project came to the attention of our team at the end of 2014 as an initiative for Q1 of the next year. 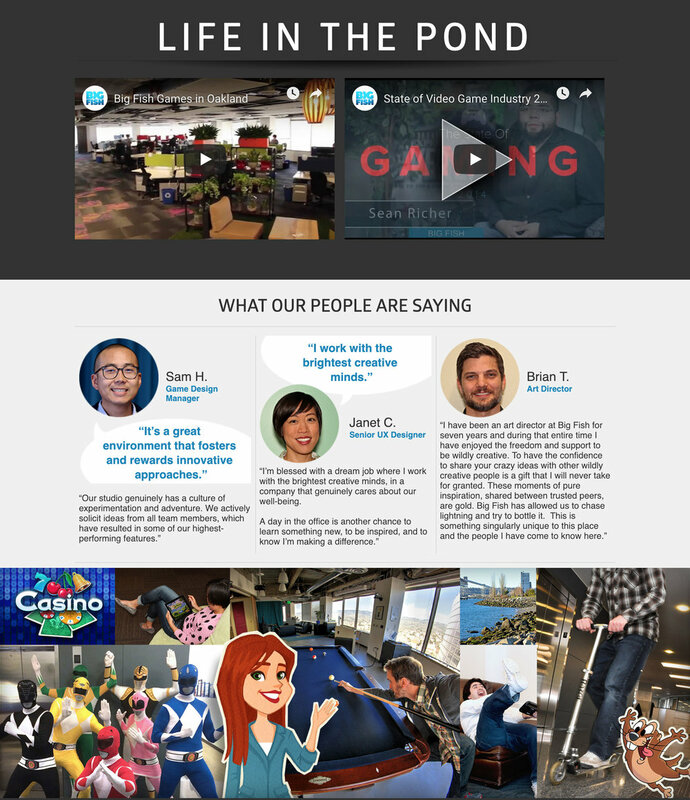 The primary stakeholders included the Product Manager for our front-end website, the Director of Career Services, and several stakeholders who were asking for better representation of the internal game studios they managed. 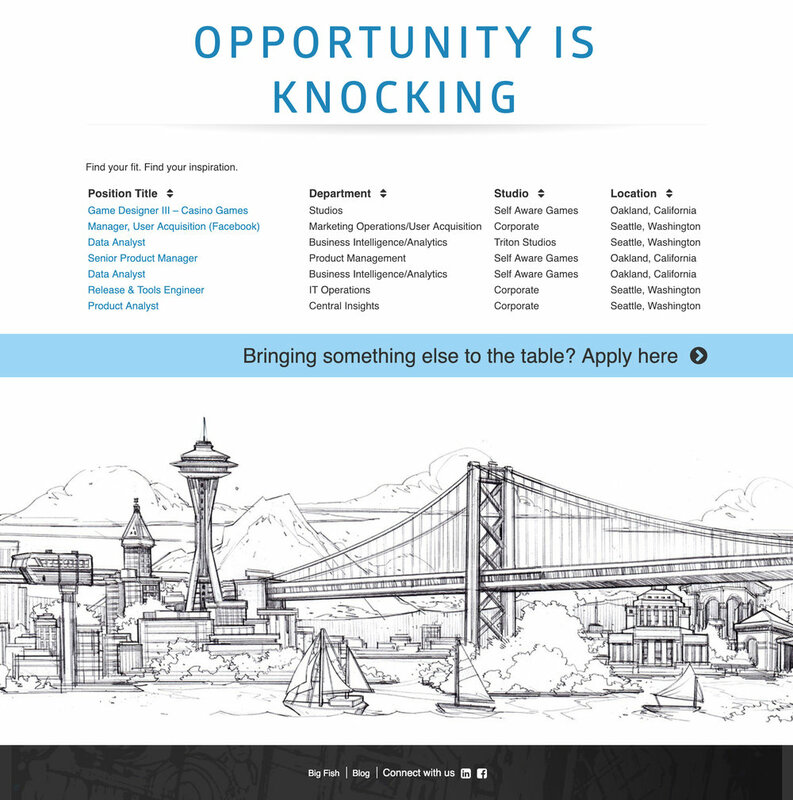 Prospective jobseekers were off-put by the outdated design of the careers site as it was. 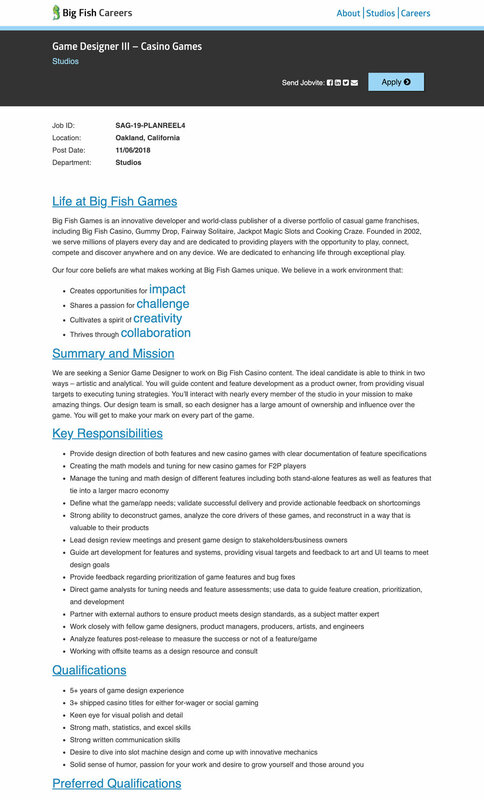 The company often received feedback that potential new hires felt concerned about working for Big Fish Games as a result of their perception of the careers page. 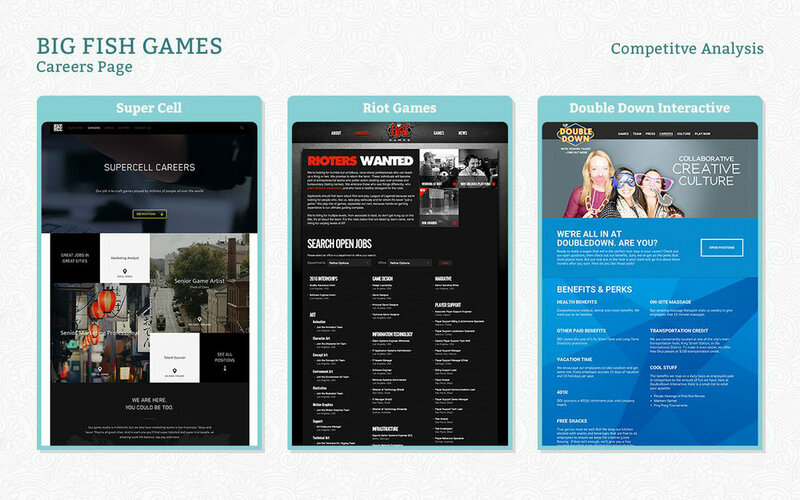 The former website lacked the modern elegance that many of our competitors’ websites had. 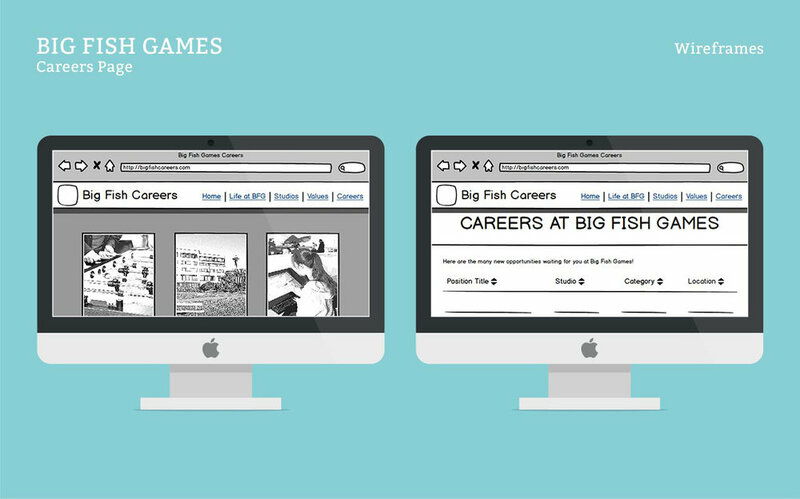 In order to attract caliber talent to Big Fish Games, stakeholders desired a more contemporary and visually appealing aesthetic. Upon further review, several features were identified as areas of opportunity for enhanced usability and SEO gains. This included providing ways to sort and classify job listings, unifying the Jobvite theme with the visual design of the website, and adding individual pages for each in-house studio. The PM helped by defining the business requirements of the project and getting in touch with game studios contacts. Her involvement was extremely helpful, as it always is. The final delivery of this project was well received. The Talent Acquisition team was very pleased with the results, and the design is still being used by the company today four years later. Since then, we’ve have significantly fewer complaints about the site feeling out of date. The cohesive design has helped users feel like they are still within the Big Fish Careers ecosystem even when they are navigated to our Jobvite (offsite) pages. My biggest takeaway from this project was to do research earlier and more often. Using stakeholder feedback to “design by committee” is often very painful and frustrating for all parties involved. 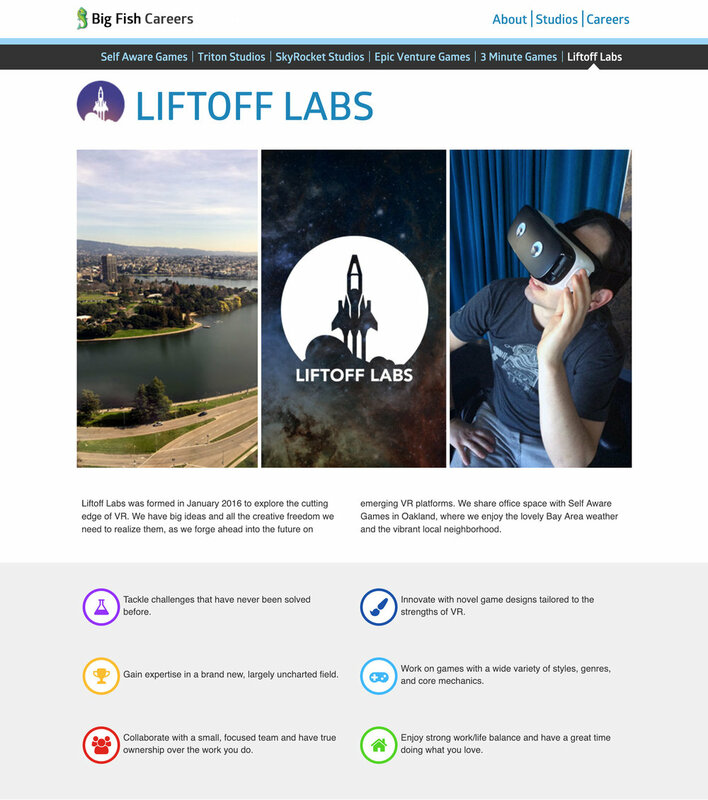 Since this project, I’ve learned to use first-click testing and usability testing to help us hone in on what works and what users like rather than letting users play tug-of-war with content and visual design choices.